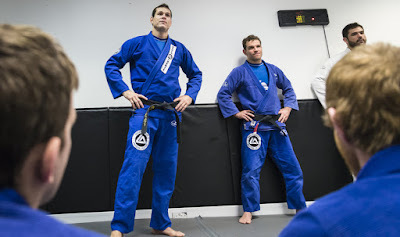 Roger Gracie is known as the GOAT of Jiu-Jitsu, with his 10 black belt world titles and his recent submission victory over Marcus Buchecha which cemented his legacy. He has been open about his views of people learning Jiu-Jitsu mostly off Youtube. For Roger, he learns his new techniques directly from his training partners. He doesn’t watch much Youtube. “What is the biggest mistake from a young BJJ practitioner who wants to be a champion? Copying YouTube positions not training the basics. Maybe it’s the biggest mistake of the kids today, who gets carried away with berimbolo and the like and forgets the rest”. He also was added: “Can Youtube be bad a thing for a BJJ practitioner’s development? I agree, especially in the beginning. It’s very important that you don’t create bad habits. You need to have a very strong structure and then you can learn anything you want. Then you won’t make silly mistakes. At one point, watching too much technique on Youtube is bad because when you try them, you open yourself up completely and you don’t defend the way you should and you end up getting tapped out on the mat…So it’s always good to be open to learning new things but don’t forget your foundations, that’s why I think that my Jiu-Jitsu is so strong, because I have a very strong foundation. My basic is very strong, so it’s hard for me to make silly mistakes, so it’s easy for me to learn new things, and I can know how far I can go. That’s the tricky part: knowing how far you can go before retreating. So if you don’t have the basics, you end up going too far in the middle of a war zone”.